The highest antibacterial activity was found in white gum, jarrah and marri honeys, but there are some other surprising results from the research. 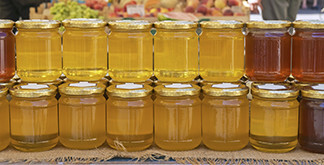 A research project screening Western Australian honey for bioactivity traits that could support health products is uncovering some surprising results. As part of an AgriFutures™ Honey Bee and Pollination Program supported project, researchers from the University of Western Australia, together with the Cooperative Research Centre for Honey Bee Products, are analysing honeys that are native to the state as part of a three year study. Initial analyses of 50 WA honeys is now completed as part of the ‘Development of honey products from a biodiversity hotspot’ project. Lead researcher Dr Kate Hammer said so far, the highest antibacterial activity was found for white gum, jarrah and marri honeys. “These results were expected to an extent, especially with jarrah, as WA has already gained a lot of experience and knowledge with jarrah honey as a unique product with antibacterial activity,” Dr Hammer said. “However what has been incredibly surprising is that our investigation of relationships between antibacterial activity and other honey characteristics, such as honey colour or hydrogen peroxide, did not show any significant correlations. Further to that, Dr Hammer said that even though it is already established that hydrogen peroxide contributes to antibacterial activity, the study has found that it is not the only factor. “In our analyses we found there were some honeys with relatively low hydrogen peroxide levels but reasonably high antibacterial activity, so future chemical analyses of these specific honeys is planned to further investigate this finding,” she said. Dr Hammer’s findings were presented at the Bee Industry Council of Western Australia’s (BICWA) 2018 Conference which ran from Friday, 25 May 2018. The two-day conference was held at the Swan Valley Oasis Resort and was sponsored by the AgriFutures™ Honey Bee and Pollination Program.